Forgotten Existence: I know what I am going to do this summer! I know what I am going to do this summer! Yep, like the title imply im going to be doing lots of painting this summer. I know, I know I've made these kind of plans before too. But this time it is different. Im actually very motivated to paint a lot of stuff. Because I have a huge pile of unpainted miniatures for different games. Lets start with the new arrivals. 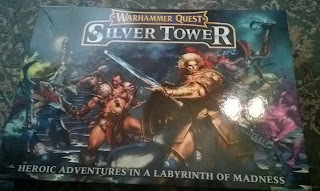 I bought Silver Tower because I never owned the original WHQ. I had Advanced Heroquest and it was a great game so the anticipation for this were high. I was little disappointed that the rules were changed (no leveling up) but after reading through the rules im eager to start playing this. But first Im going to paint the minis that are included in the box. I got so excited about the miniatures, extra heroes and app that I almost ordered AoS starter set! Maybe later in the summer, after the new rule sets are released, I will buy it. Maybe? 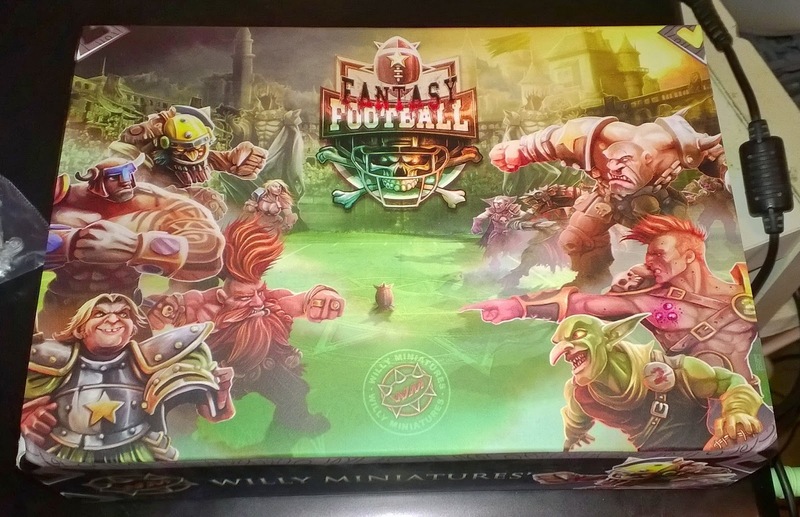 Then there is Blood Bowl. I love this game more than anything else. I've been playing it since late eighties. I have few teams still unpainted and few that I will most likely repaint. I might do a before and after thing with them as I think my painting is bit better than it was 6 years ago when I returned to miniature painting and gaming. But first im going to paint the new team I just picked up from the post office. More from that later in the week. Will also post pictures of my home made stadium! 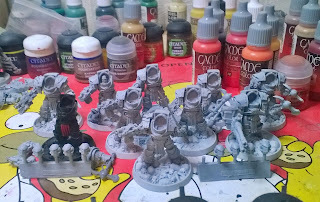 The current painting project I started last week is to complete my Sons of Horus force. 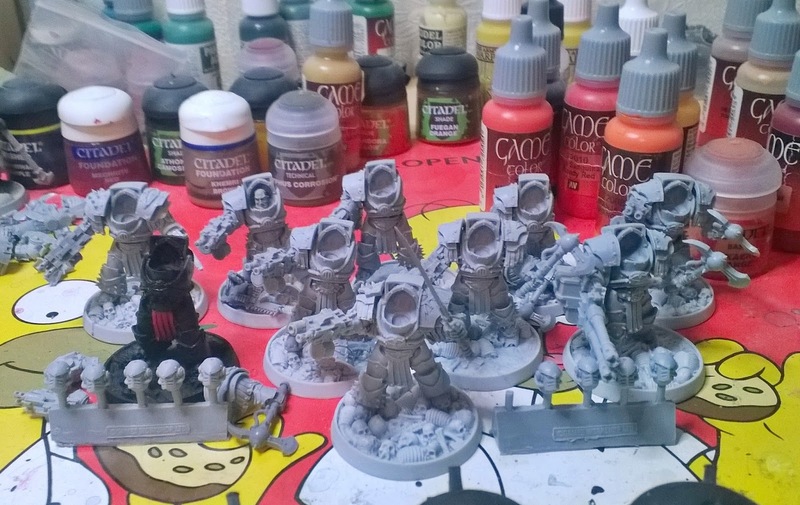 Im taking part in E Tenebrae Lux V a painting challenge arranged by Bolter & Chainsword. I have vowed to paint 1999 points during this event. Included in my vow are the following units. After these I have plans to paint all the minis from Zombicide Black Plague and Imperial Assault and all its expansions. And when those are done its time to concentrate to 30k again. 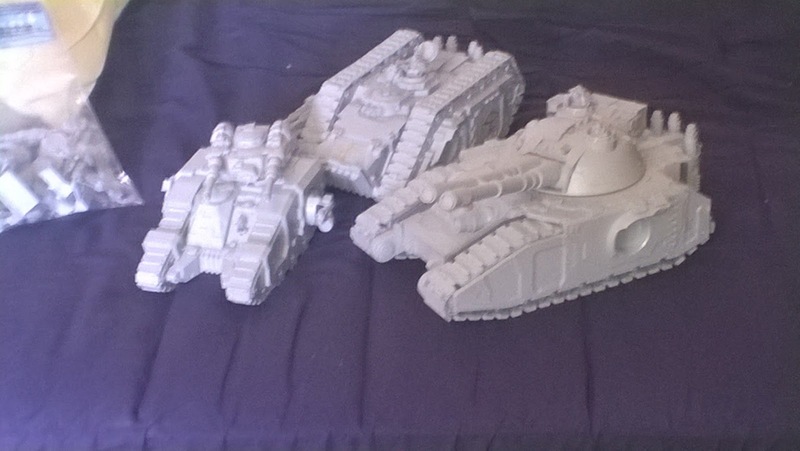 On my to do list are Legio Cybernetica, Knight House and yet unpurchased God Engine! That is all for now, will make a post about Blood Bowl on friday and after that will post pics of my progress in ETL V.